If you’re a major fan of Samsung’s Galaxy phones and you’re itching for a new one with brand new features, you’re going to love this news. On Sunday, Samsung is set to launch the Galaxy S9, which promises a camera like never before. But when will the Samsung Galaxy S9 be released? No official date has been announced yet, but it does seem like it’ll be available sooner rather than later. So far, nothing is really concrete when it comes to the S9. This is probably because the company wants to keep things as much of a surprise as possible when they make their official announcement at Sunday’s Mobile World Congress trade show in Barcelona, Spain. But tech experts are already making guesses about when we can expect to see it on shelves and so far, it sounds like it could be mere days away. 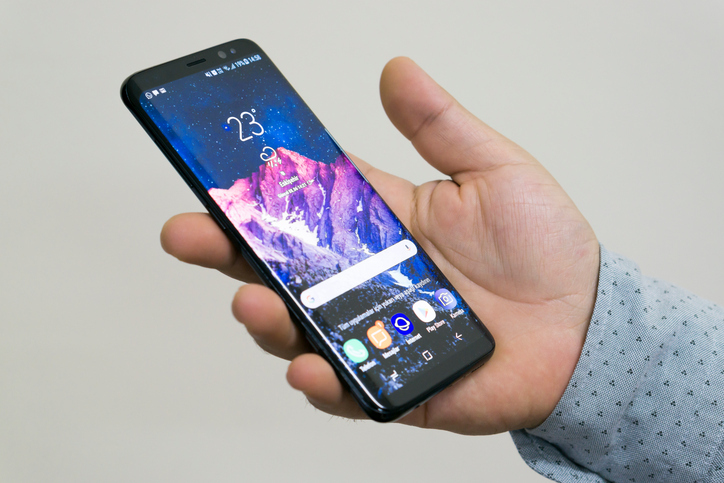 According to a prediction from TechRadar, the S9 is expected to go on sale either the first or second week of March, with presales possibly starting March 1st. The site also predicts that the Samsung Galaxy S9 will sell for around $775 in the United States. While this is a significant price tag, it should also be available for monthly payment plans through your provider, as per usual. Phones are traditionally available pretty soon after their launch announcements, so it makes sense that the S9 would follow suit. After all, why not start selling them when interest is high? It makes business sense — and it’s pretty nice for those of us who are on the impatient side. If you’re in need of a new phone, you have perfect timing. Now, all we have to do is wait for Samsung to tell us about all of the S9’s features…and that very important release date. Is it Sunday yet?